Fees associated with Moldovan PCT national phase entry as well as other patent fees are available in the fee calculator. The time limit for entering the Moldovan national stage of the PCT application is 31 months from the priority date. - a document confirming payment of the filing fee. A patent application based on PCT in Moldova should be filed in the Romanian language. If the PCT application is filed in any foreign language, the applicant should provide the Romanian translation within three months from the date of national phase entry. Legalization and notarization of the Power of Attorney is not required. It should be provided simultaneously with filing the application or within three months from filing. The substantive examination should be requested and corresponding official fee should be paid within 30 months following the date of entry into the national phase. Grant fees are to be paid within six months from publication of the decision to grant a patent. The first maintenance fees for the 1st year till the year when a decision is granted are paid simultaneously with the official grant fees. Further annual maintenance fees should be paid before the international filing date anniversary. Late payment is possible within six months from the deadline expiration provided that a surcharge is paid. 1. 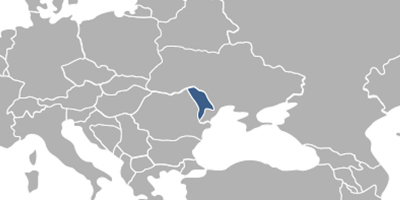 Online Search Databases: Moldovan Patents and Utility Models, European Patents (EPO). 2. As of November 1, 2015, it is possible to protect inventions in Moldova via entering the European PCT regional stage and its further validation in Moldova. 3. Entering the PCT national phase as a utility model in Moldova is not possible.